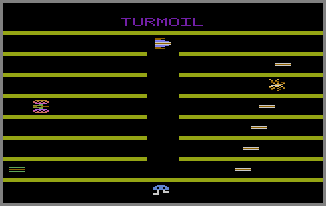 · One of the very few games actually programmed to be in stereo (which can only be experienced with a modified system). · Pausing and un-pausing a game (with the TV Type switch) changes the color of the maze. · A Sneaker from Fast Eddie appears when the game is first turned on (see picture).